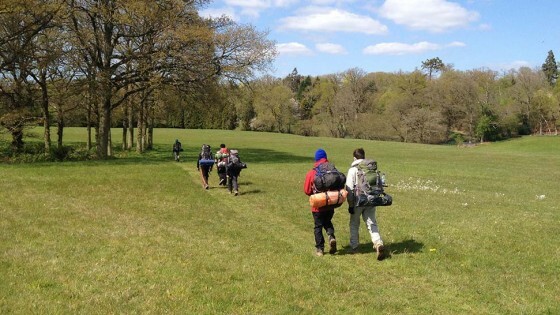 Jason, James, Arian, Nish, Mathew and Neal completed their Silver DofE qualifying expedition in the Ashdown Forest area. They had to deal with land owners telling them they couldn’t walk down footpaths (they pluckily carried on anyway to their credit), yapping farm dogs and a torrential downpour on their last day. However they never once complained and finished perfectly on time on their third day. They all agreed that Ashdown Forest is a great location for a bronze or silver DofE expedition as it’s close to London, has nice scenery and the difficulty of navigation is just about right for this level.